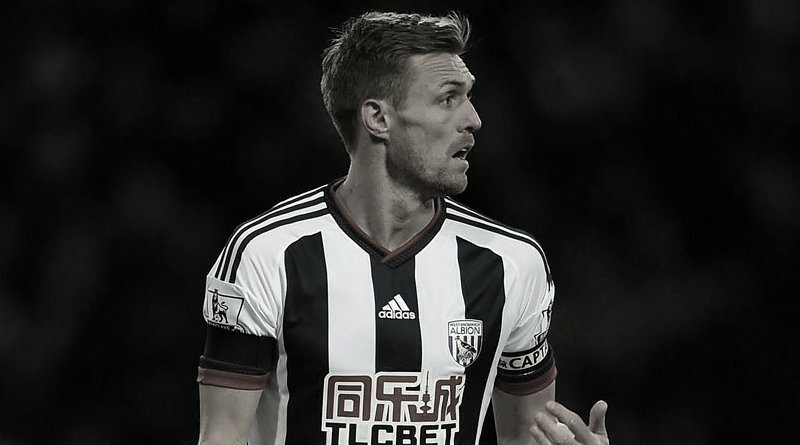 West Bromwich Albion midfielder Darren Fletcher has emerged as a surprise target for Stoke City ahead of the summer transfer window. According to the football transfer rumours in British Media (Stokesentinel), Stoke City are keen on West Bromwich Albion midfielder Darren Fletcher. The Scotland international has joined West Bromwich Albion from Manchester United on a free transfer in February 2015. The 33-year-old has a valid contract with West Bromwich Albion until June 2017. Since his arrival from Manchester United, Darren Fletcher has scored six goals and provided six assists in 97 games for West Bromwich Albion, including two goals and provided three assists in 40 games in all competitions this season. The 33-year-old is considered to be one of the best midfielders in Scotland. Darren Fletcher has represented Scotland at Under-20 and Under-21 level, winning six caps and scoring two goals, before making his senior international debut in August 2003. As a member of Scotland national football team, Darren Fletcher has won 78 caps and has scored five goals. There has been no movement on Darren Fletcher agreeing a contract extension at West Bromwich Albion, and he will be on the radar of many Premier League clubs during the summer. Euro Football Rumours understood that Darren Fletcher has been long term target of Mark Hughes as the manager look to bolster his midfield options for the next season. Few La Liga and MLS clubs are apparently trailing Stoke City in the pursuit of West Bromwich Albion veteran midfielder. How strong that interest is and whether Stoke City will make a summer move remains to be seen but it is certainly one worth keeping an eye on.